Escape the noisy metropolitan city life one weekend and imagine it’s the Jazz Age again: book a room at The Breakers Hotel and spend a sunny afternoon visiting the site of the original Bingham-Bolton-Blossom 160-acre subtropical estate on the island of Palm Beach. 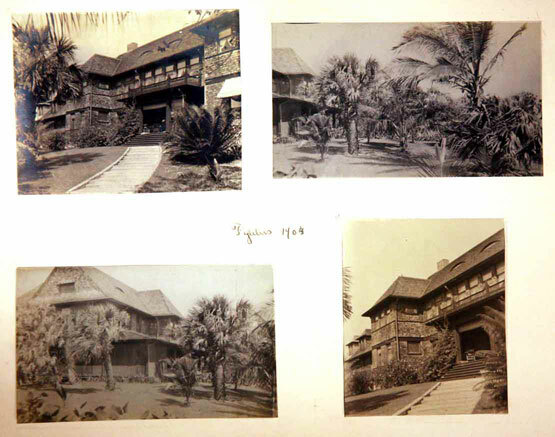 The picturesque property included Figulus, built in 1893 as the winter home of Charles W. and Mary Bingham, and Casa Apava, built in 1918, for the Bingham’s daughter Frances Payne Bolton. Today what remains of Figulus is land and plants from Florida’s boom era. Casa Apava is still a private residence, now owned by a philanthropist. The Bingham’s were involved in business, politics, and the oil industry during the Gilded Age in Cleveland, Ohio and were neighbors to Henry Flagler and John D. Rockefeller in the same Euclid Avenue area known as “Millionaire’s Row.” In 1893 the Bingham’s traveled to Palm Beach and purchased land from Dr. R.B. Potter and named the home they built on it Figulus, Latin for “potter”—the name is a pun from the owner’s name. Figulus was designed by Forrest A. Coburn from the Cleveland firm Coburn & Barnum. Construction began in 1893 by local builder George D. Lainhart. The property was a fine example of Shingle-style architecture—a late 19th century movement influenced by colonial American architecture that was in contrast to the Queen Anne-style prevalent in Britain and the United States. Shingle-style replaced the elaborate, richly decorative gingerbread design of the Victorian era with a more simplistic, less commercial quality. Architects focused on free flowing, open plans with irregular rooflines incorporating heavy use of shingles that gave buildings a rustic look. The idea was to create a sense of openness. The movement became popular across America and would influence future generations of modern architects including Frank Lloyd Wright. Figulus was the first privately owned residence built on the ocean in Palm Beach. The rectangular-shaped home with two projecting wings had unusually large windows that faced west to Lake Worth and east to the Atlantic. Famed botanist David Fairchild supplied many of the plants that grow around the property. The Bingham’s daughter, Frances, would marry Chester C. Bolton, who later served as United States Representative from 1929-1939. After his death, Frances was appointed to fill in Bolton’s position. She served until 1969. The newly married couple was given the parcel south of Figulus by her father in 1918. That year Cleveland architect Abram Garfield, the youngest son of President James A. Garfield, designed the gorgeous multimillion dollar Casa Apava—a name given to the property by Frances that is Sanskrit for “he who sports in the water,” referring to her eldest son, Charles, who was a swimmer. Casa Apava represents a shift in architectural style in the early 20th century. It embodies elements from both the English country manor-style and Spanish Mediterranean Revival. The estate exemplifies the latter movement with its red tile roof and pastel beige stucco walls. 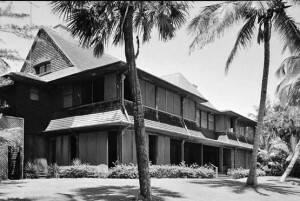 While Figulus was placed in the National Register of Historic Places in 1972, it was demolished in 1974. 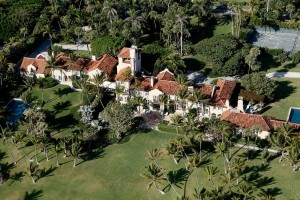 Casa Apava, which is considered to be one of the most expensive homes ever sold in America, was designated a local landmark in 1980. For an in-depth history of early Palm Beach and the Bingham-Bolton-Blossom Estate please refer to the Historical Society of Palm Beach County. 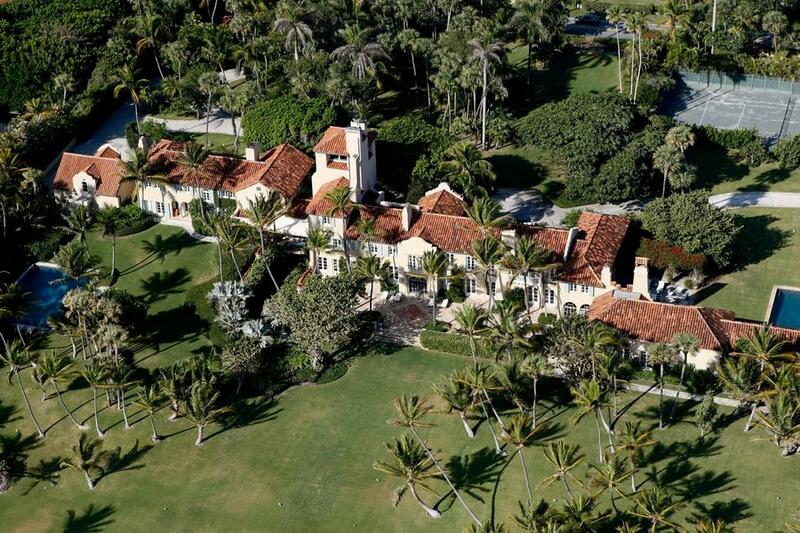 This entry was posted on Thursday, January 16th, 2014 at 4:34 pm and is filed under Abram Garfield, American Colonial, Architects, Architectural Styles, Forrest A. Coburn (Coburn & Barnum), Mediterranean Revival, Palm Beach, Preservation, Shingle-style, Videos. You can follow any responses to this entry through the RSS 2.0 feed. Both comments and pings are currently closed.